While BF3’s five hour singleplayer campaign isn’t genre defining, it’s the multiplayer component which will be most crucial to the game’s success. The legacy and influence of Battlefield 2, and the more recent Battlefield: Bad Company 2 hang heavy on BF3’s shoulders, and, with EA pulling no punches in wanting to take Call of Duty down, expectations are high. For once though, our expectations weren't just met, but utterly surpassed. BF3’s multiplayer is a superb mix of the best from both BF2 and BF:BC2, scrapping BF2’s fiddly commander option, but retaining the large open maps packed with destructible scenery, a great mix of vehicles and tight close combat areas. 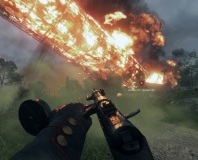 The Frostbite 2 engine brings a new level of environmental interaction to the game; cover disintegrates at a remarkable rate, with hiding places disappearing under rocket and tank fire. The amount of destructible environments is much improved from BF:BC2; multiple buildings, huts, towers and trees all collapse to varying degrees under fire. After a lengthy battle an area can look utterly devastated, with the game’s urban levels in particular looking like smoking ruins. It’s an awesome feature and, as in BF:BC2, really adds a new dimension to the multiplayer gameplay. Sniper picking you off from a roof top? 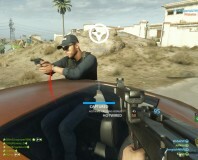 Just blow up the roof and no more sniper. The 'feel' of the combat has also been improved, particularly so if you were part of the BF3 open beta. Net code and hit detection are now much, much better, although BF3’s guns still retain their recoil properties that make assault rifles ineffective at longer ranges. Having spent years playing Call of Duty, where even diminutive weapons are super accurate, it takes some getting used to, but it’s also a relief to now survive out in the open for longer than five seconds. Damage has been tweaked from past Battlefield outings however and death can still come quickly and without you really having an opportunity to react to threats; it’s not one-shot kills though (unless you meet my 870CS at point blank – Kaboom!). The netcode isn’t perfect, and 64-player servers in particular can suffer from latency and the dreaded rubber-banding effect. Our experience of 32-player and 48-player servers was much better, and it’s important to remember that server hosting companies, as well as EA, are still gauging the hardware and network demands of a fully populated 64-player server. Despite this though, there’s so much of that Battlefield feeling of fun in BF3. Jumping into a buggy and speeding into an enemy held point guns blazing; taking to the skies in a jet before parachuting out into enemy territory; dropping mines in choke points and grinning with glee as enemy vehicles blow themselves to bits. It’s all here and it’s all brilliant. There’s the (now obligatory) unlock based progression system, which does cause some issues at lower levels by not handing new players useful extras such as the teammate reviving shock paddles or tank destroying C4. You’ll soon unlock these however and the weapon balance is such that, at this point at least, no class or unlock seems to be unfairly balanced or overly powerful. 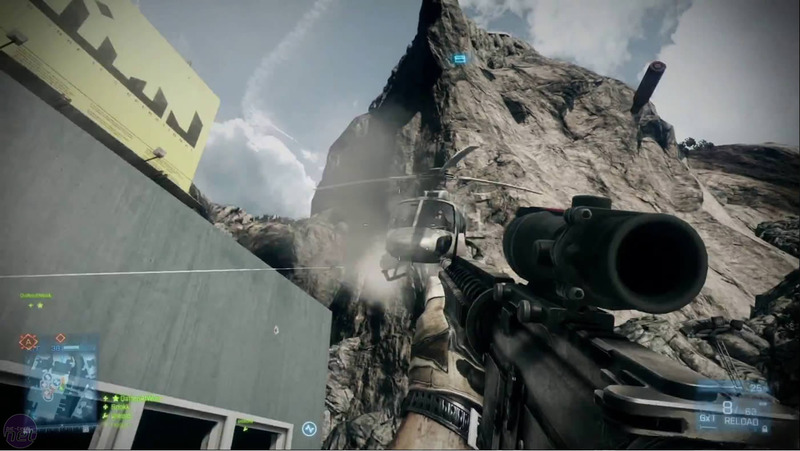 While Battlefield 3’s multiplayer gameplay is superb however, the infrastructure surrounding it is a little clumsy. 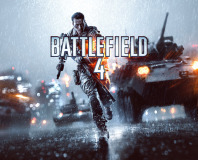 Despite requiring EA’s Steam-a-like Origin download service to install and activate, BF3’s multiplayer (and indeed, single player) is handled by a separate system, dubbed Battle Log. This service runs from within your web browser, and works as an amalgamation of stats tracker, social network and server browser. Finding a server is easy, with effective filters making it simple to filter by geographical area, game type or number of free slots, and Battle Log is already in a much more serviceable condition than BF:BC2’s in-game server browser at launch. However, you’ll need to put together yet another friends list in order to form groups and join servers with friends, as Battle Log’s only integration into Origin is the ability to copy contacts. Battlefield 3 is very much a game of two halves, and it’s the multiplayer half that really sets it apart from the competition. While the single player campaign isn’t enough to justify the purchase on its own, there’s simply no other multiplayer game that offers anything to rival BF3’s gameplay. The feeling of being an involved part of a huge battle is palpable and the huge maps are a sight to behold when a match is in full flow. The infantry combat is responsive and engaging, the vehicles a grin-inducing joy ride. The fact that there are so many game types and that the maps reconfigure depending on player count means there’s a huge amount of variety in BF3’s online offering, and with more unlocks than you can shake a boom-stick at, it’ll take you ages before you’ve seen and done everything. Battle Log and Origin are awkward, but Battle Log is at least functional, making it easy to find servers with free slots or running your favourite maps. 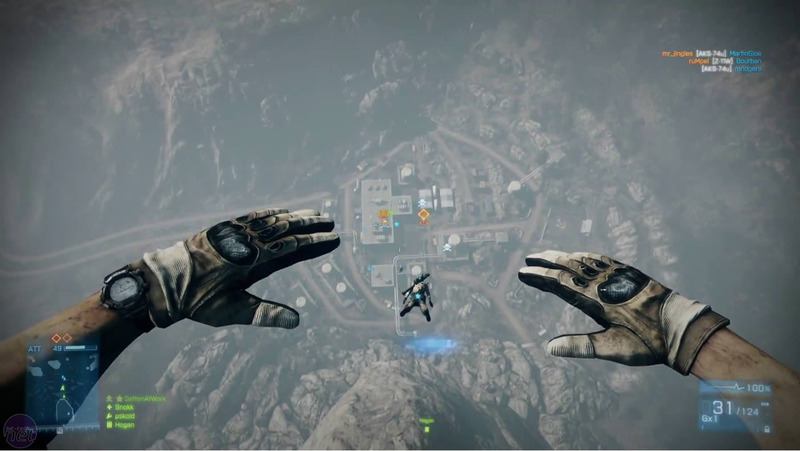 In short, Battlefield 3’s multiplayer is a triumph, and while the single player campaign isn’t the most original, or entertaining shooter, it’s the online modes that will keep us playing for months to come.